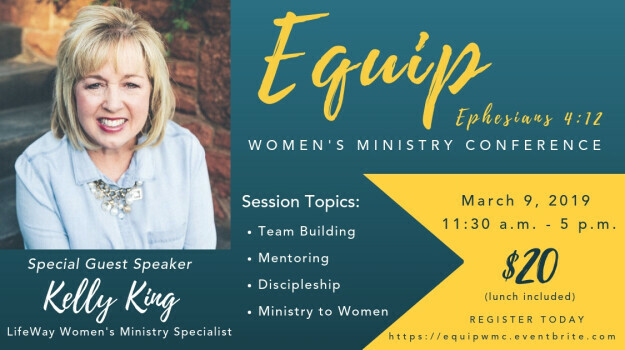 Sign up today for the upcoming Equip Conference with Kelly King, Gateway alumna and women's ministry specialist at Lifeway Christian Resources. Discussion topics are designed to prepare those called to minister to women including team building, mentoring and discipleship. Lunch on campus is included in the price of admission.